Description: The child squirms in its mothers arms, trying to see who's behind her. The childes little mouth is open in unadorned curiosity as its eyes take in all the things around it. 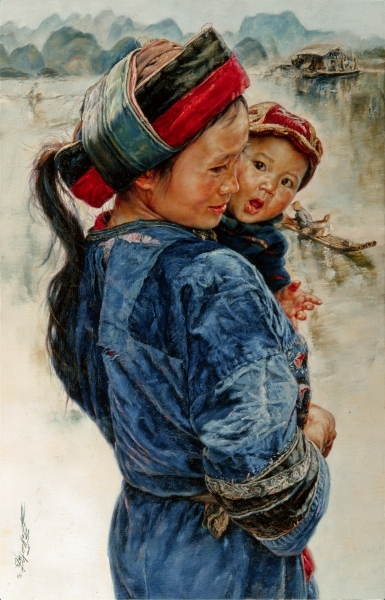 This painting introduces the viewer to the traditional and artistic dress of one of the minorities of China.